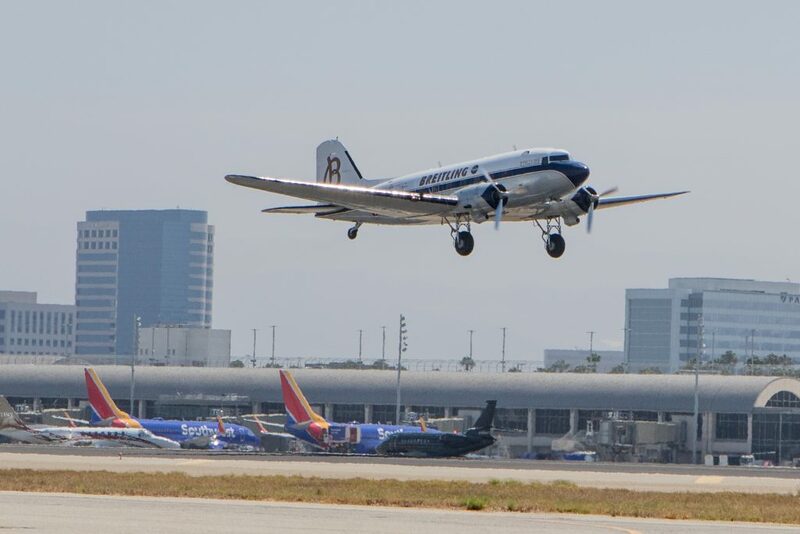 The Breitling DC-3 lands at John Wayne Airport recently during its world tour. A historical and legendary aircraft landed at John Wayne Airport recently, just one stop on its world tour. The Breitling DC-3 visited Lyon Air Museum at the Orange County airport on July 14, delighting visitors before taking off to finish its global goal celebrating its 77th birthday. This type of Douglas DC-3 twin engine propeller plane launched in 1935, it revolutionized air travel and had a significant impact during WWII. More than 16,000 were built and most major airlines acquired them as part of their fleet. Today there are less than 150 DC-3 aircraft in flightworthy condition worldwide, including the Breitling DC-3, according to the Breitling website. American Airlines received this particular DC-3 HB-IRJ in 1940, the website notes. Between 1942 and 1944 it was used by the American military. It then went on to resume service on behalf of various commercial airlines. “Restored by a group of dedicated enthusiasts, it now flies under Breitling colors and participates in a variety of airshows,” the site reads. This year, Breitling launched its DC-3 on a major round-the-world tour that began (and ends) in Switzerland. Breitling aircraft will return to OC in September for the Breitling Huntington Beach Air Show. For more information, visit breitling-jet-team.com/en, breitling.com/en/airtime/breitling-dc-3, hbairshow.com, and lyonairmuseum.org. 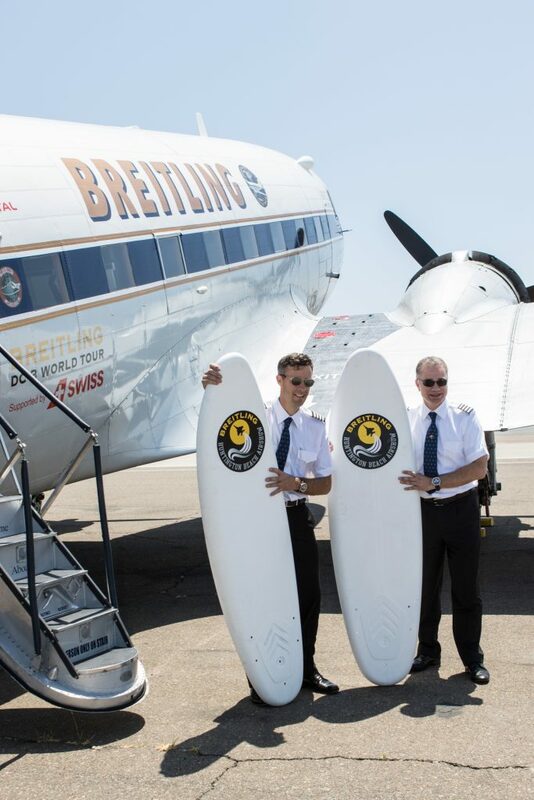 Pilots Paul Bazeley (left) and Francisco Agullo pose for a photo with surfboards promoting the upcoming Breitling Huntington Air Show in front of the legendary aircraft, Breitling DC-3, as it stopped at Lyon air Museum at John Wayne Airport recently during its world tour. 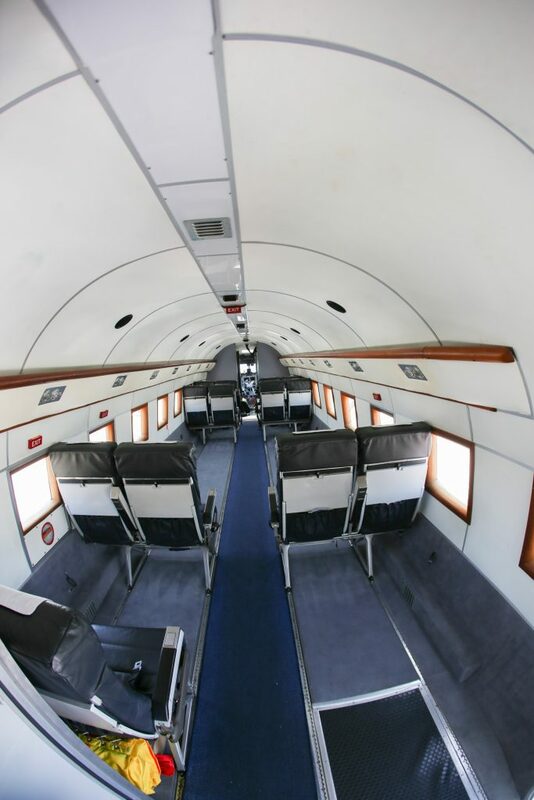 The interior of the Breitling DC-3. 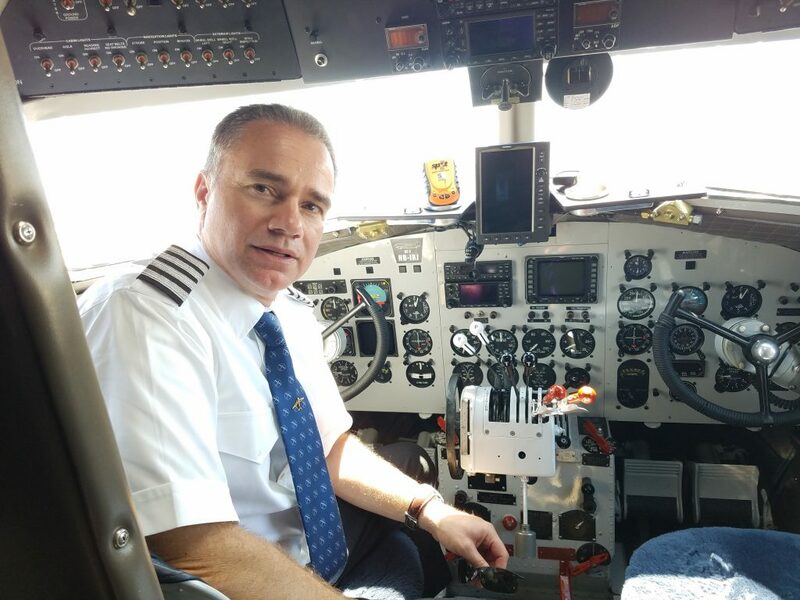 Pilot Francisco Agullo in the cockpit of the legendary aircraft, Breitling DC-3. 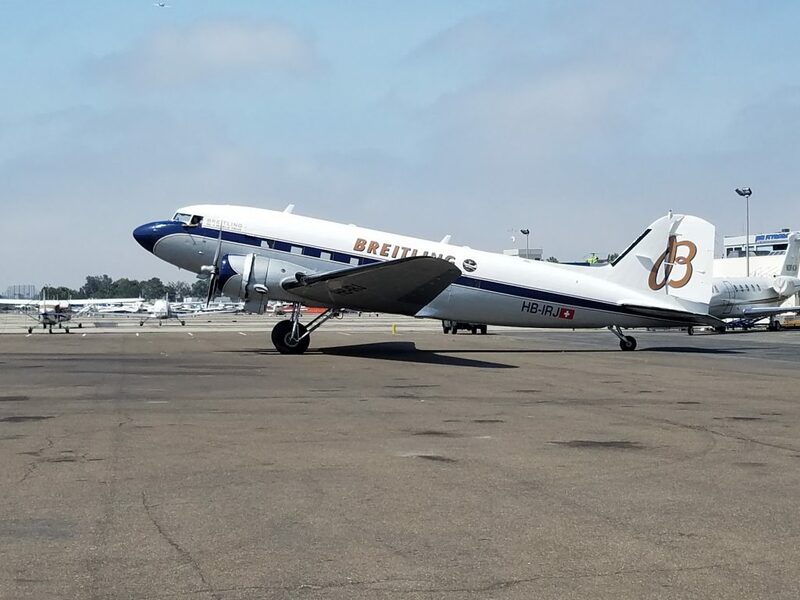 Celebrating its 77th birthday, the legendary Breitling DC-3 stopped at Lyon Air Museum at John Wayne Airport recently during its world tour.